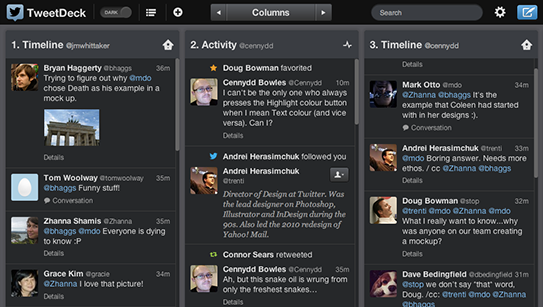 Few days ago twitter announced that it will be killing the desktop version of Tweetdeck and will be concentrating more on its web-based versions. Just 3 days after the announcement, the web and chrome app has been updated with some great new features i.e availability of user specific search filters in Tweetdeck for web and chrome app letting you filter the twitter noise and get more focused twitter stream in your timeline as per your specific needs. Now if you click on “Edit” tab of any column of Tweetdeck for web and chrome app, you get the option for user specific search filters which lets you filter tweets based on content and user preference. You can also define keywords to be included or excluded from these along with option to whether include re-tweets or not. 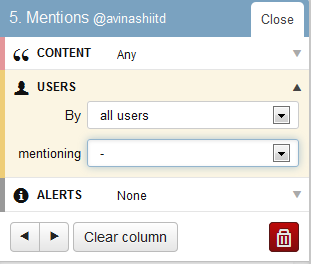 You can even filter your tweets based on specific users or tweets mentioning specific users like from some list or only verified users. 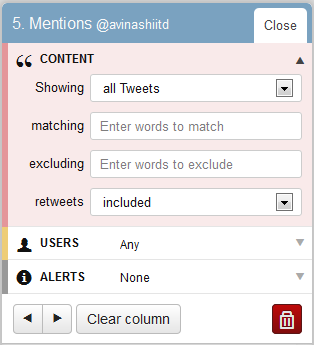 If you use Tweetdeck as your primary twitter client, these additions were long overdue, but sadly these are not available if you are using Tweetdeck for Desktop. You must now start using its Web version or the chrome app as Twitter is killing the desktop version soon.